Now that work has (finally!) slowed down for the holidays, I've had more time for mid-day walks and evening baking sessions. It's continued to be cold and overcast, but sadly there's been no more snow around home since the dusting I missed last week. It's been years since we last had a good snow around here, and now that I'm working from home, I wouldn't mind a few snowy days one bit! 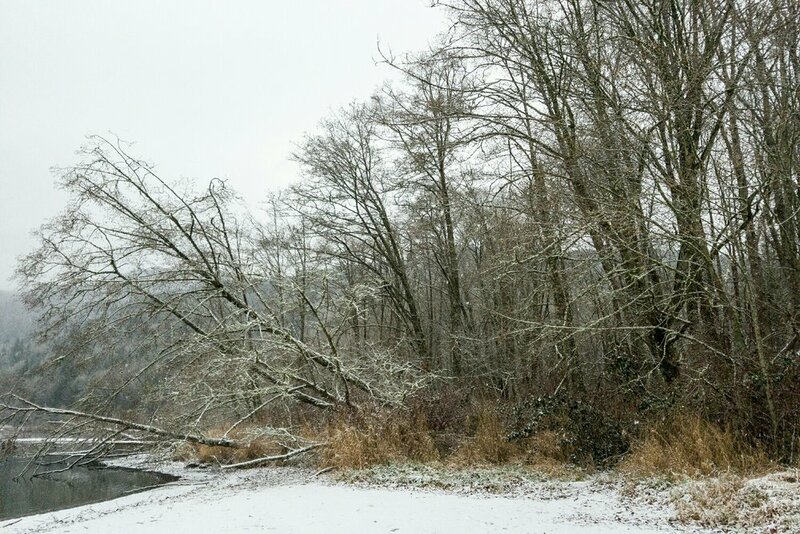 Luckily, we had plans to spend a lovely weekend in snowy Bellingham visiting friends who recently moved north. I'd thought it had been cold at home, but when we got into town Friday evening we discovered we were terribly under-dressed for the 18° temperatures! We didn't have to suffer too long, since there wasn't much walking to do, but the cold was certainly a shock! Saturday morning, we had a delicious brunch followed by a peaceful walk around Lake Whatcom. After a few hours relaxing at our friends hours, we spent the evening bar hopping in the city. Andy and I have become major homebodies since the summer, and it was a nice change of pace to get out so much. Snow covered Smithbrook road. A slightly different view from the drive up to Minotaur Lake in the fall! 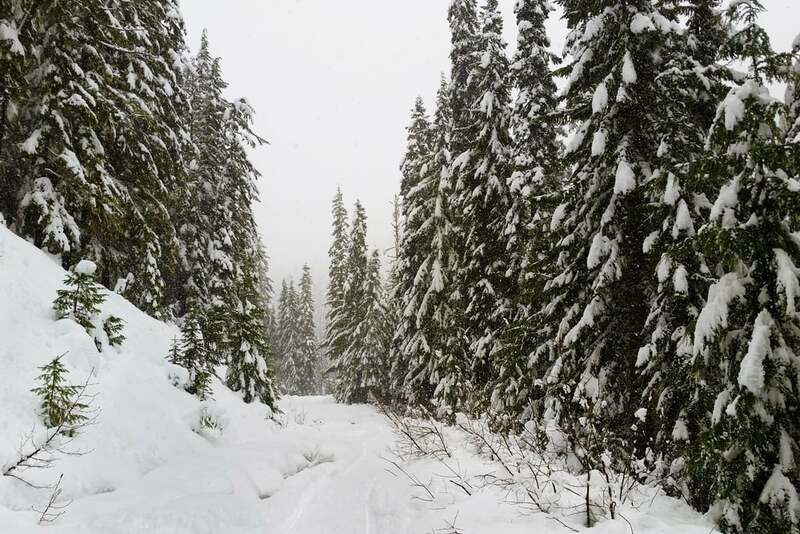 This year, for the first time, instead of buying a Christmas tree in a lot or at a U-Cut farm, Andy and I joined his dad, stepmom, sister, and niece in venturing out into the snowy woods to find cut a tree ourselves with a Forest Service permit. Andy's dad has done this for many years, and I've always enjoyed the spindly character of the trees he finds. They aren't quite Charlie Brown trees, but trees found in the forest have so much more personality than the uniform, bushy ones bought in a store. This week brought frost and the tiniest bit of snow to Puget Sound. I love the textures and patterns of frost, almost more than I love snow. Thanks to a Christmas present from Andy, I can now keep my feet warm in style by wearing wool socks with birkenstocks, the epitome Pacific Northwest fashion. We spent most of the week on Whidbey Island, and instead of our usual beach walks, this time we went for several "frost walks" where we poked about in the woods taking photos of the frost until we were thoroughly frozen. Then it was back to the cabin to warm up by the wood burning stove! Whidbey is the most wonderful place to ring in the New Year. I vastly prefer the calm, peaceful beauty to the crowds and noise typical to a New Years celebration.